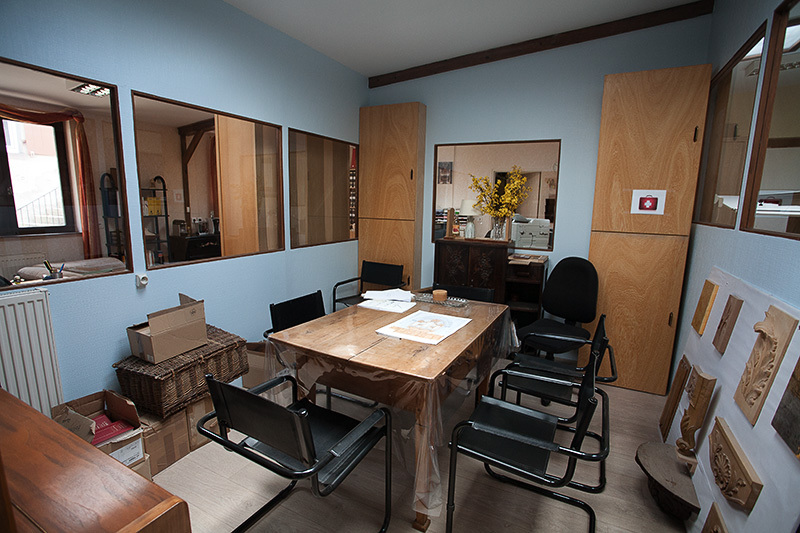 We work in a large, light and comfortable 900 sq. 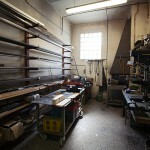 meter workshop, where visitors are always welcome. 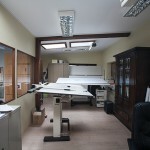 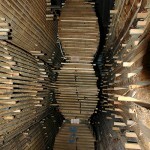 It is protected by remote monitoring, and benefits from humidity control capability. 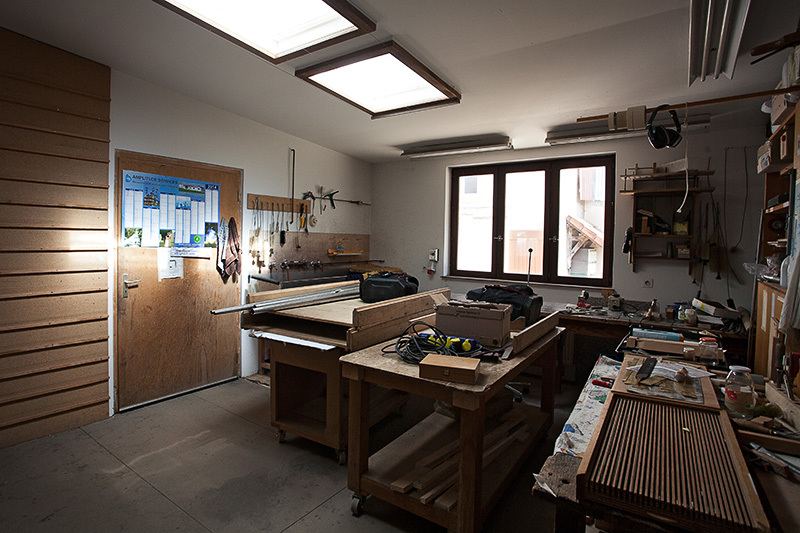 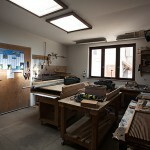 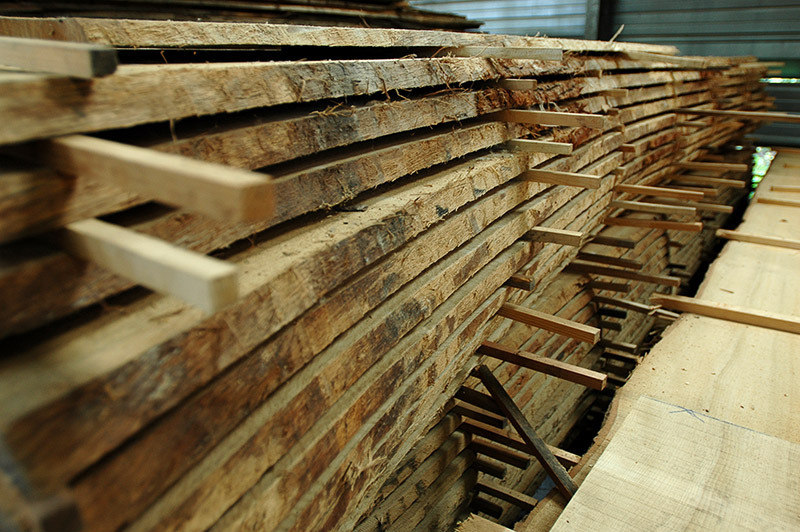 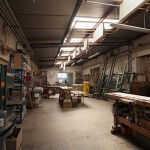 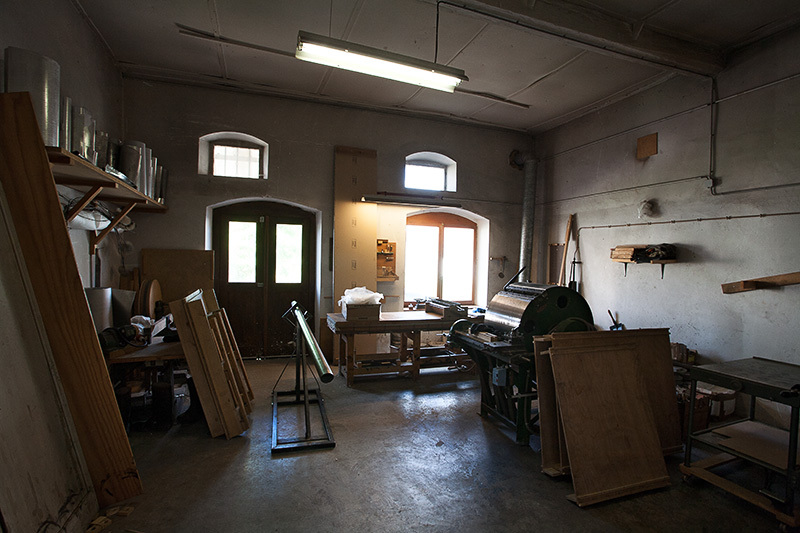 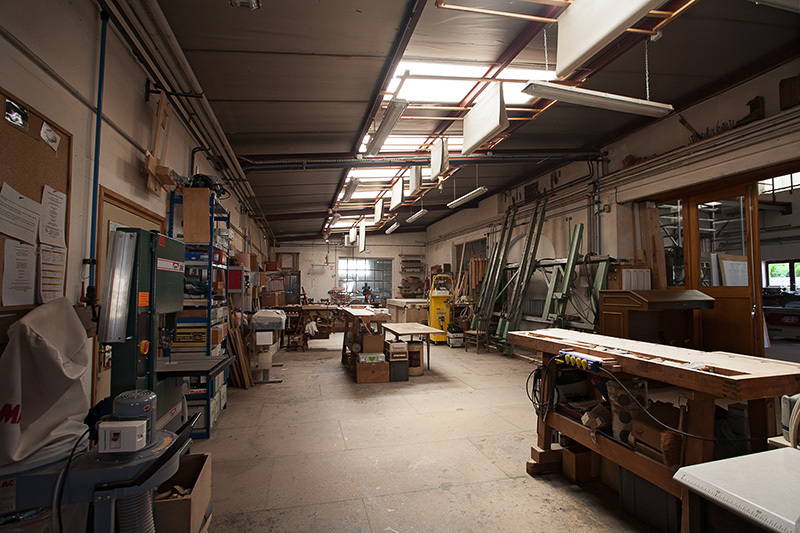 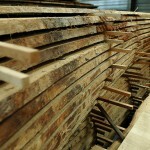 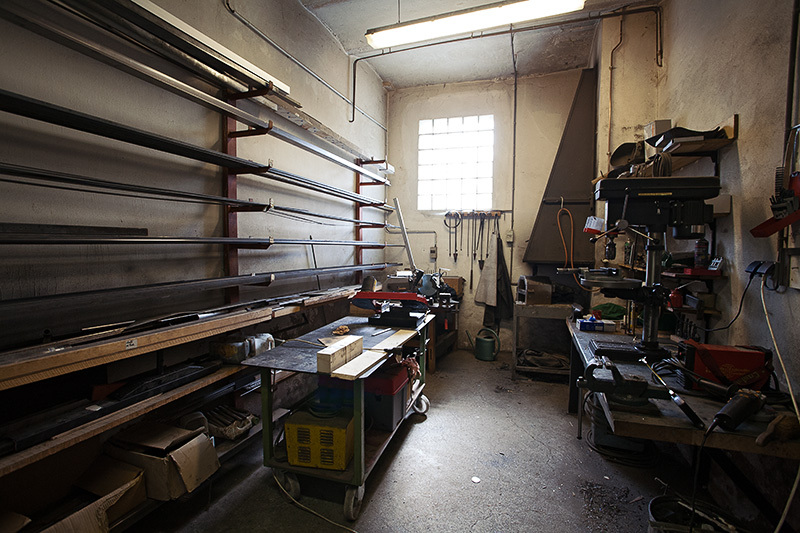 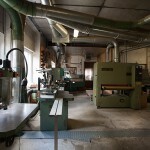 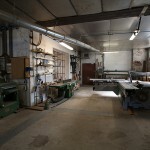 A workspace hosting the different workbenches, dedicated to woodworking and joinery. 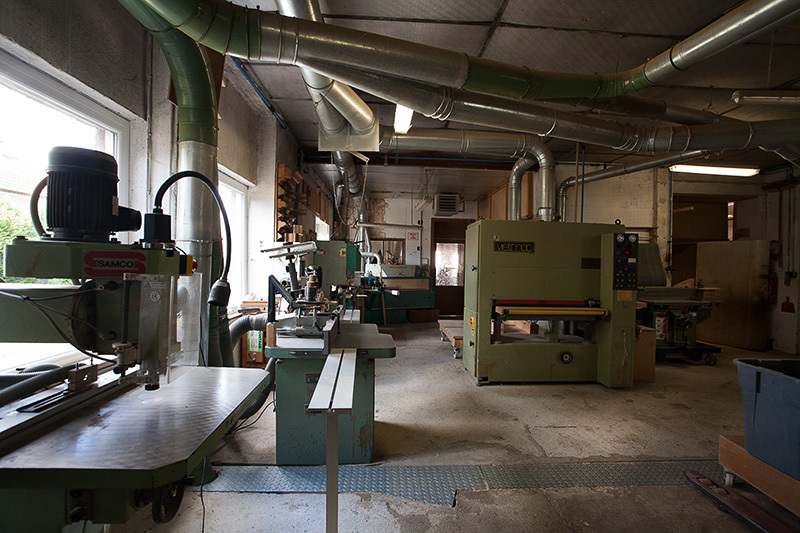 Two rooms which can be isolated from dust are dedicated to pipework, from casting to shop voicing, including cleaning and overhauling. 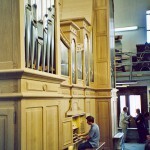 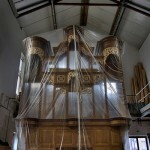 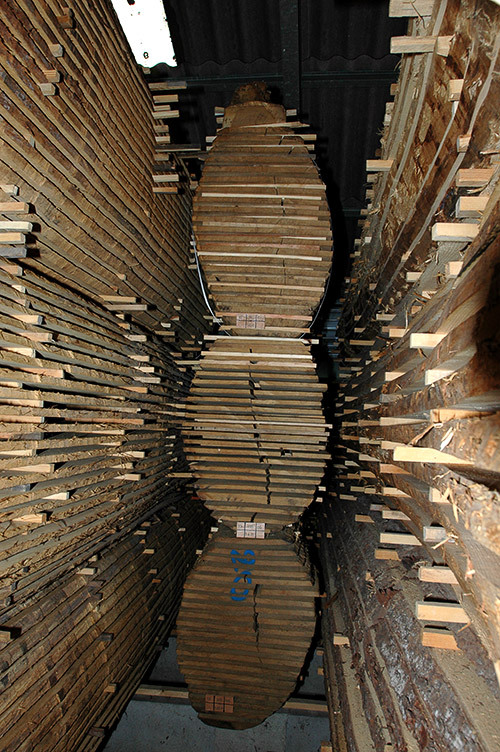 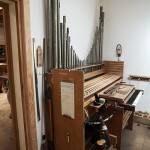 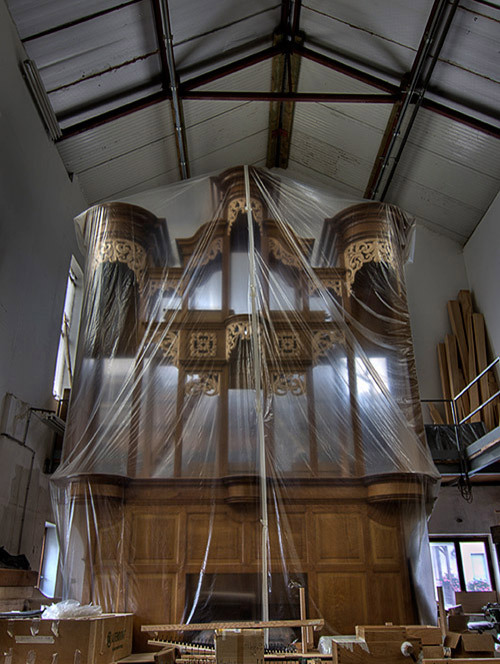 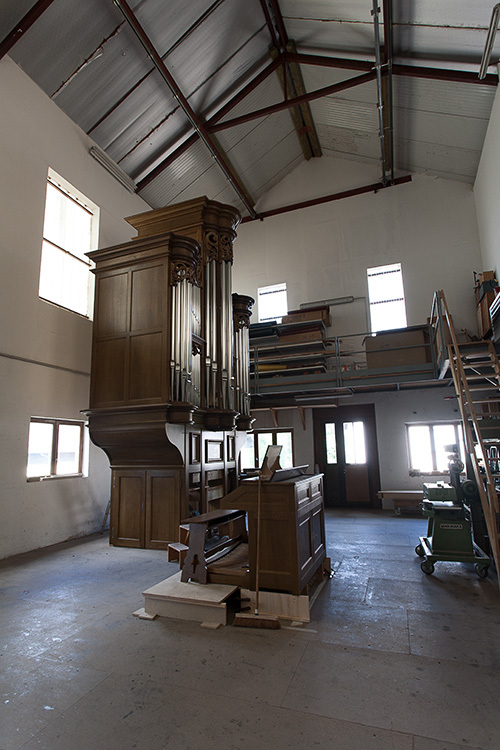 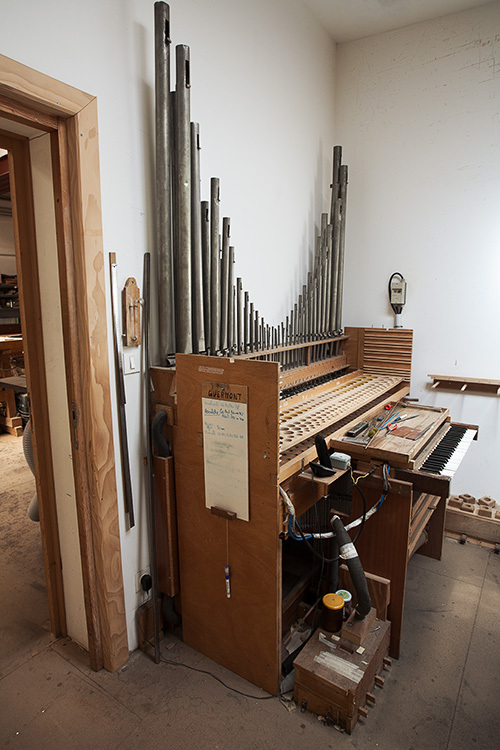 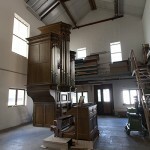 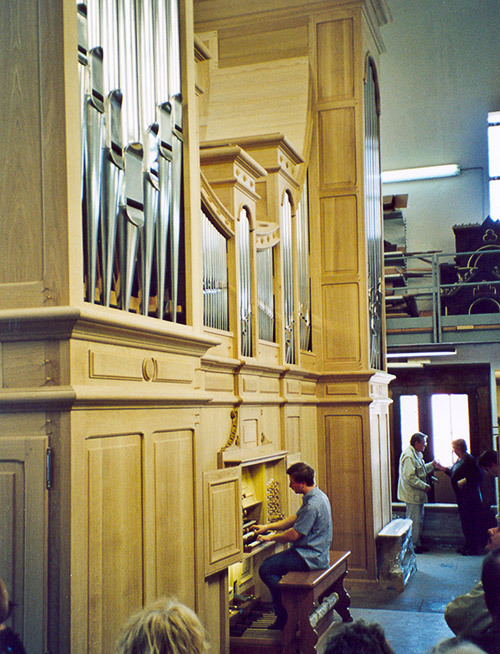 An 11 meter high assembly room that can also be isolated from the main workspace, allowing the full mounting and sound trials of the organs, prior to their final in situ installation. 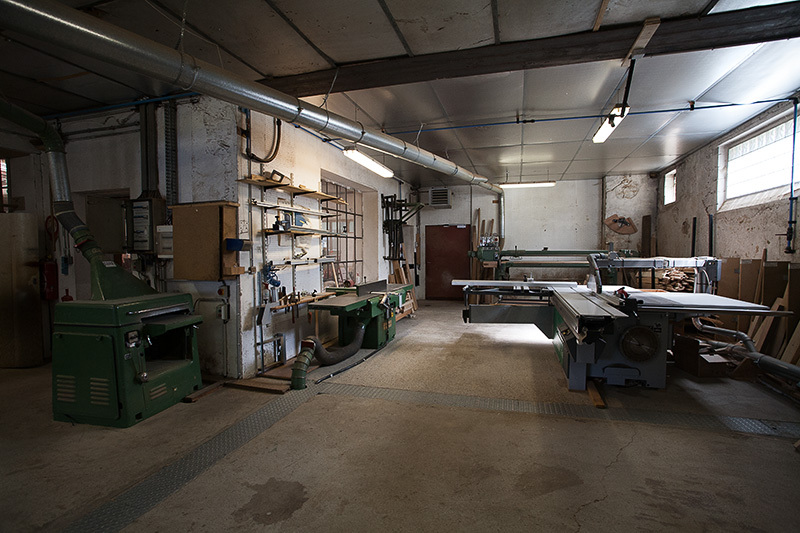 A machine room, also isolated from other areas in order to prevent dust and noise, hosting: jointer, planer, band saw, axial saw, circular saw, shaper, belt sander, surfacer, and a varnish cab. 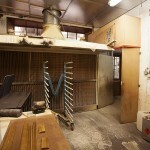 Adjacent to the machine room, a locksmith room dedicated to metal work. 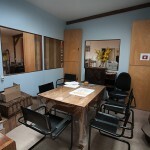 A 250 sq. 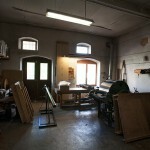 meter shed where we store saw logs on stickers. 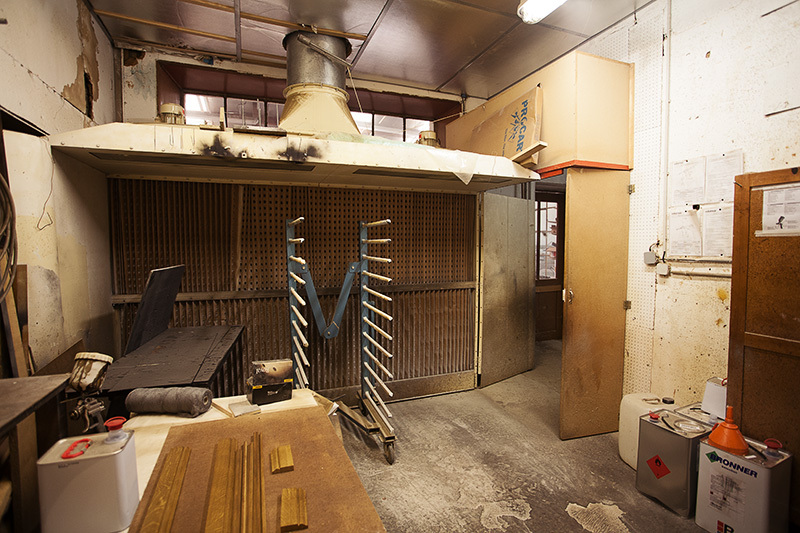 As well as a locked ventilated and climate-controlled storage room, where we store chemicals. 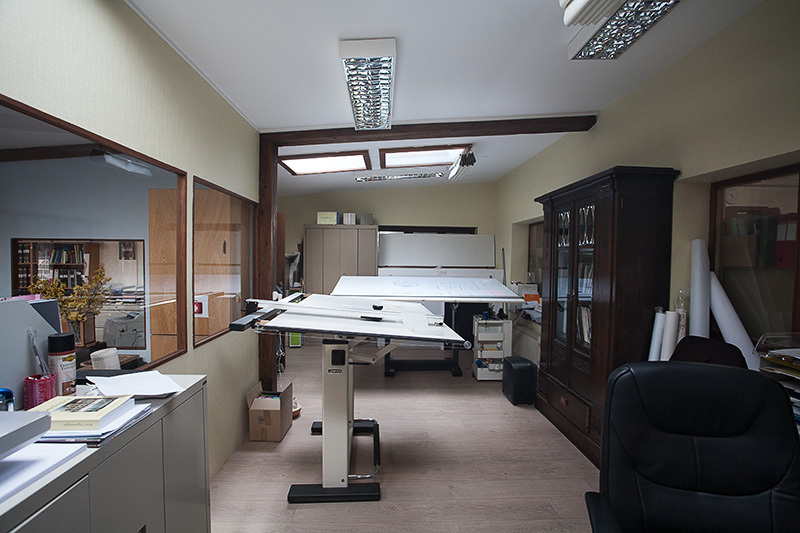 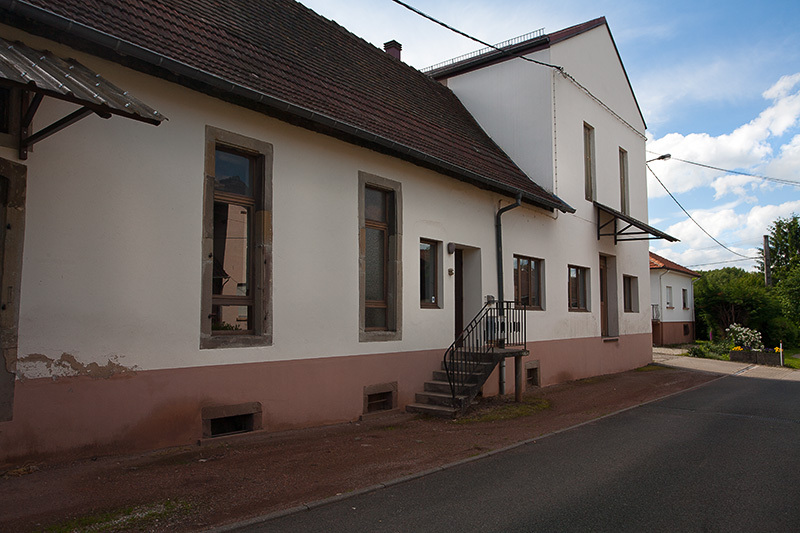 In addition to these spaces, fully devoted to the manufacture or restoration of the organs, our facilities also include a meeting room and two offices, one dedicated to the study, design and work on drawings, the other dedicated to management and accountancy.